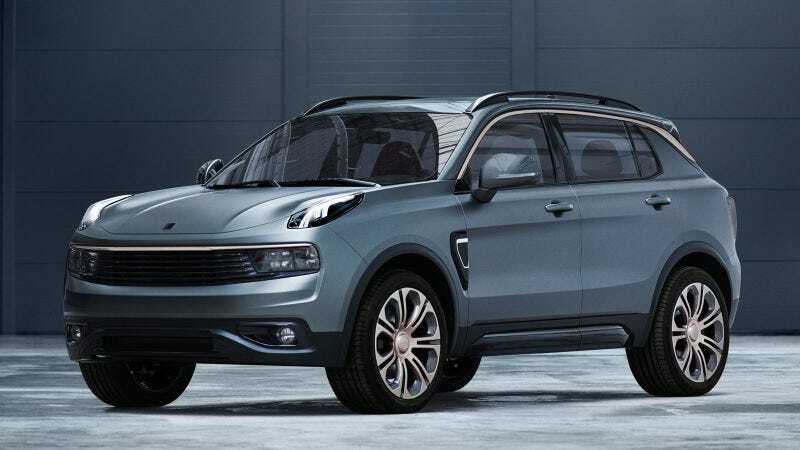 What does Oppo think of the Lynk & CO 01? Personally I like it a lot. It’s a clean, fresh, cohesive design. The whole “Juke-face” aesthetic at the front is chic right now, and they’ve mixed it with equal parts Citroen C4 Cactus and Ferrari F12, with good results. I think this will be a big stepping stone for Chinese cars in the U.S. It’s one of the few Chinese cars I can think of that isn’t a copy of an existing design. It has details that remind me of other cars, (the front fascia, the D-pillar is slightly Citroen-ish) but on the whole it’s original. I think the side would better without the black plastic, with the divot extending into the front quarter panel. I absolutely love the taillights, another unorthodox shape. Look at it! It’s beautiful. I’ve loved copper trim since the Peugeot RCZ R, and it’s finally here on a production car. And it’s on the CMA platform developed with Volvo, so it should be good as well. And the sedan concept they brought along has purple accents. PURPLE. I’m ready for the future.